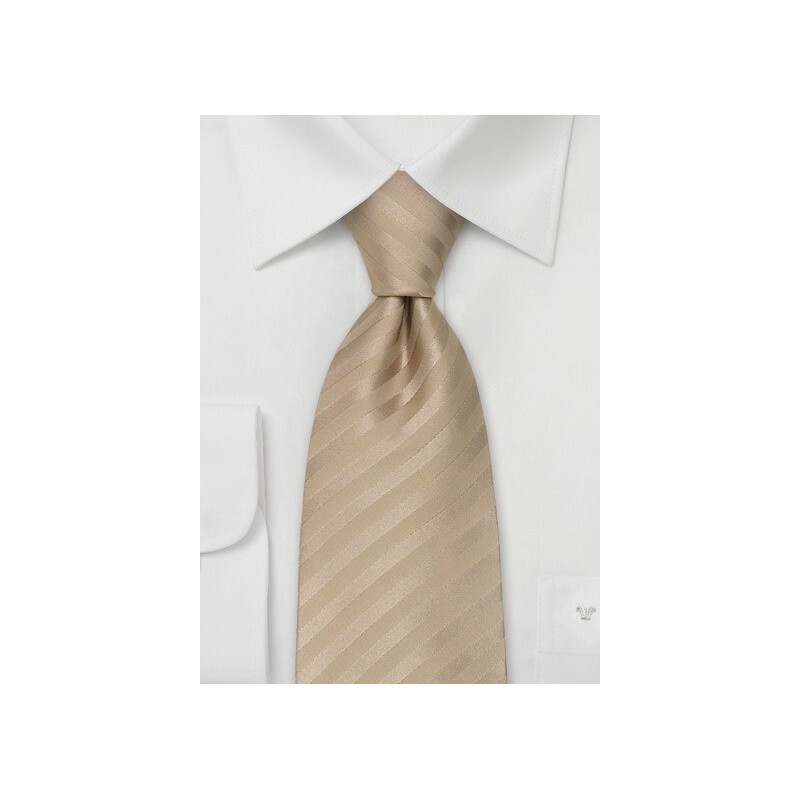 A classy tan-brown XL necktie that will suit well for formal as well as business attire. The fine diagonal stripes are created by alternating the weaving direction of one single color yarn. Extra Long Ties are about 3 inches longer than regular sized neckties. They are especially made for taller men and/or larger collar sizes. If you are above 6’3” chances are that extra long ties are right for you. 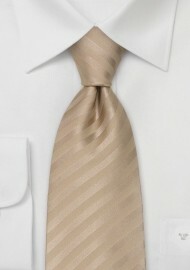 Handmade solid color silk tie in XL length.